There’s an alligator in her pillow and she needs mom and dad to make it go away. 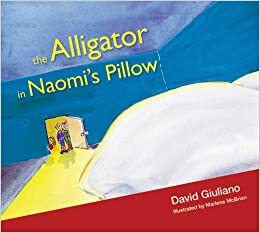 Over a few nights, Naomi’s parents groggily try different approaches to rid Naomi’s pillow of the alligator, but in the end it is Naomi who comes up with a way to face her scary nocturnal visitor. When Jeremiah starts kindergarten, he is good at learning lots of things. But no matter how hard he tries, he can’t seem to learn the letter “e.” And his name has two “e’s” in it! 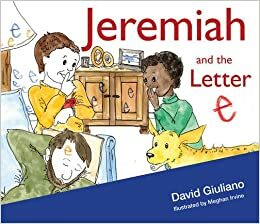 Author David Giuliano and illustrator Meghan Irvine team up to create an engaging and humorous look at facing the ongoing challenges of life. There is always something new to learn, including how to listen to the small voice inside that encourages us to keep trying. Canadian Church Press, First Place Award, Personal Experience for “Involuntary Pilgrim” The United Church Observer, December 2018. 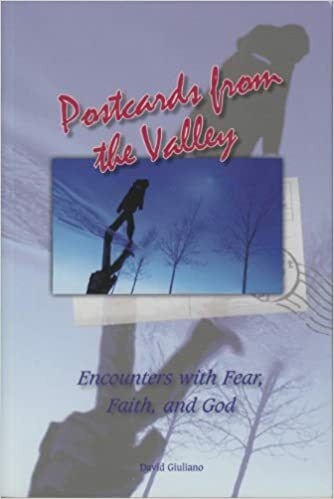 Associated Church Press Award of Merit 2108, Devotional/Inspirational: Long Format, “Involuntary Pilgrim” The United Church Observer, December 2018. Canadian Church Press, Award of Merit 2017, First Place Blog – Online and Integrated Media Category, for “Camino de Cancer” September-December 2017. Associated Church Press, Honorable Mention in the Seasonal Category for “Quote Unquote: What is the real breath of a man – the breathing out or the breathing in?”, The United Church Observer, October 2015. Associated Church Press, 2nd place in the Theological Reflection category, also for “Thanksgiving: What does it mean to be grateful amid suffering?” The United Church Observer, October 2014. Canadian Church Press 2nd place in the Biblical Interpretation category for “Thanksgiving: What does it mean to be grateful amid suffering?” The United Church Observer, October 2014. Honourable Mention, The Associated Church Press, Seasonal article: “Christmas, After All” The United Church Observer, April 2012. Award of Excellence – Seasonal Article, Associated Press, Best of the Christian Press Awards,for “Into the City With Jesus” The United Church Observer, April 2009. Canadian Church Press Awards, “Theology” 3rd Place for “Into the City With Jesus” The United Church Observer, April 2009. Best Communicators (Ketchum Public Relations Canada) for Fall 2007 Pastoral Letter to Congregations. Award of Excellence – Seasonal Article, Associated Press, Best of the Christian Press Awards, for “The Risings Around Us”, The United Church Observer, April 2007. “Allowing Silence to Speak”, The United Church Observer, June 2002. “Ancestors in the Clergy Attic” Practice of Ministry in Canada, February 1996. “Believe in God”, Practice of Ministry in Canada, May 1993. Reprinted in The Clergy Journal: The Clergy’s Professional Journal, January 1994. “Be Longing: The Blessings of Staying Put”, The United Church Observer, June 1999. “The Big Fish”, This Morning, CBC National Radio, broadcast September 21, 1999. “Called to the Summit” The United Church Observer, June 2001. “Celebrating the Male Spirit”, United Church Observer, May 1992. “Chugging Faithfully Into the Future” (congregational visioning), United Church Observer, May 1995. “The Communion of Saints”, in A Celebration of Faith, ed. R.T. McCutcheon, 1989. “The Decade: What was in it for us men?” NewSpirit/The United Church Observer, April 1998. “Declaring Our Citizenship: Through Baptism and Communion we Model the Alternative Empire of God” Mandate May 2007. “Dinky Meets an Unlikely Angel”, The United Church of Canada Observer, December 2003. Reprinted as “Dinky the Donkey” in Gathering: Resources for Worship Planners, Advent Christmas Epiphany 2005-2006. Divine Hunger: Canadians on a Spiritual Walkabout, by Peter C. Emberley, “Book Review” in The United Church Observer, June 2002. “’Don’t be Afraid’, A message for Christmas from the Moderator”, The United Church of Canada Observer, December 2006. “An Easter People”, The United Church Observer, March 2008. “Entering Silence With God”, The Clergy Journal: The Clergy’s Professional Journal, November/December 2004 (LXXXI/2). “Everyone Can Sing”, Front Page The United Church Observer, February 2001. “Everyone Can Sing”, Ministry Issues, The Clergy Journal, Resources for Personal and Professional Development, March 2006, LXXXII/5. “The Fantasy Family”, Practice of Ministry in Canada, November 1990. “Finish the Sentence: To the young adults who grew up in the United Church but no longer attend, I would like to say . . . sorry.” The United Church Observer, December 2013. “A Flash of Wonder”, The United Church Observer”, December 2007. “From Our Troubles, We Gain Strength” (on the economy and the via negative) Toronto Star Friday December 26, 2008. “From the Ashes”, The United Church Observer”, February 2013. “Fruit of the Spirit in Ministry”, The Clergy Journal: Resources for Personal and Professional Development. July/August 2005 (LXXI/8). “General Council 38: What it was (and always is) Really About”, NewSpirit in The United Church Observer, November 2003. “Getting Their Bearings” (Wilderness and Healing), The United Church Observer, November 2000. “Give us Bread” (Liturgical Poem), Gathering, Summer 1993. “Giving Up Homophobia for Lent in Marathon” NewSpirit in The United Church Observer, July/August 2002. “Dispatches: Glimpsing the holy in a land of unholy fear”, The United Church Observer, July/August 2007. “God of the Egyptians?” Minutes for Mission 2005, September 11th, 2005. “The Grief of the Exile” Practice of Ministry in Canada, September 1989. “Hurry Up and Relax”, Practice of Ministry in Canada, May 1994. “In the Eyes of Mary”, The United Church Observer, December 2005. “In the Stillness of Holy Saturday”, The United Church Observer, April 2006. “Into the City with Jesus”, The United Church Observer, April 2009. “Involuntary Pilgrim”, The United Church Observer, November 2017. “A Journey of the Heart”, The United Church Observer, May 2008. “Keeping a Spiritual Journal”, Practice of Ministry in Canada, May 1989. “Liberation from Mammon: A Spiritual Discipline”, The Clergy Journal, Resources for Personal and Professional Development, September 2006, (LXXXII/9). “Longing for God”, The Clergy Journal: The Clergy’s Professional Journal, February 2005, LXXXI/4. “Louder Than Words” (Men and relationships), Practice of Ministry in Canada, February 1995. “The Lust for Manna”, Practice of Ministry in Canada, March 1988. “Men Who Choose to Batter”, Practice of Ministry in Canada, May 1990. “The Minister As Exorcist”, Practice of Ministry in Canada, January 1989. “Ministry of Disabled Persons”, The Clergy Journal: The Clergy’s Professional Journal, May-June 1995. “Mirrors for Youth”, The Clergy Journal: Resources for personal and professional development, November/ December 2006, LXXXIII/2. “Must Your Tiptoe God?” (Poem) Presence; An International Journal of Spiritual Direction , March 2006, 12/1. “Our Ambivalent Relationship with Technology” The Clergy Journal: Resources for Personal and Professional Development January 2006, LXXXII/3. “Our Place in the Pageant”, The United Church Observer, December 2008. “Over The Waters”, Sunday Service Bulletins January 8, 2006 2-06. “Pastoral Power-Tripping”, Practice of Ministry in Canada, May 1997. “Pilgrims in Pursuit or Peace”, The United Church of Canada Observer, July 1987. “The Politics of Spirituality”, The Clergy Journal: Resources for Personal and Professional Development, April 2005, LXXXI/6. “Pray for Your Rulers” (a play) in Acts of Terror and Words of Faith: Reflections after September 11, 2001, Nobuko Iwai and Elizabeth Bryce eds., November 2001. “Praying for Peace, Paying for War”, The United Church Observer, August 1991. “Proceed With Caution” (Non-Natives and Native Spirituality), Practice of Ministry in Canada, November 1991. “Quote Unquote: Blow upon my garden that its fragrance may be wafted abroad,” The United Church Observer, February 2016. “Quote Unquote: If I can’t dance I don’t want to be part of your revolution,” The United Church Observer, November 2016. “Quote Unquote: In the midst of winter, I found there was, within me, an invincible summer”, The United Church Observer, January 2015. “Quote Unquote: Justice is to sort out what belongs to whom, and to return it to them”, The United Church Observer, June 2016. “Quote Unquote: Remember Who You Are”, The United Church Observer, May 2015. “Quote Unquote: These are the days of the endless summer. . . . There’s only here, there’s only now.” The United Church Observer, July-August, 2015. “Quote Unquote: What is God already doing, and how can we co-operate?’ The United Church Observer, December, 2015. “Quote Unquote: We have this treasure in earthen vessels”, The United Church Observer, March 2015. Reprinted in Prairie Messenger, April 2015. “Quote Unquote: What is the real breath of a man – the breathing out or the breathing in?”, The United Church Observer, October 2015. “Quote Unquote: The working poor are the major philanthropists of our society”, The United Church Observer, September 2016. “Radically Experiential Learning: Field-Based Education for Professionals”, Participatory Paths, 1993. “The Risings Around Us”, The United Church Observer, April 2007. “Sabbaticals: The Hidden Costs”, Practice of Ministry in Canada, May 1995. “Spiritual Whiplash”, The United Church Observer, December 2012. “Staying Put: The Long Term Pastorate”, Practice of Ministry in Canada, September 1999. “The Shalom Project”, Exchange, Spring 1987. “Technology’s Two Faces”, Blog, Collegeville Institute for Ecumenical and Cultural Research, October 30, 2014. “Temporarily Able-Bodied”, The United Church Observer, October 1994. “Thanksgiving: What does it mean to be grateful amid suffering?” The United Church Observer, October 2014. (Reprinted on Collegeville Institute for Ecumenical and Cultural Research, Blog November 26, 2014). “These Days…” (A weekly reflection on current events from a Christian’s perspective), The Marathon Mercury, 1987 – 1996. “The Way of the Wild Dog” The Clergy Journal October 2005, LXXXII/1. “This Treasure in Clay Jars” Behold I Make All Things New: A Prayer Resource for General Council 42, August 2015. “With Deep Regret: A Letter to Mary” (from Joseph), Gathering: Resources for Worship Planners, Advent, Christmas, Epiphany 2004-2005.